UPDATED JANUARY 23RD 2015: Added new cover image shot by Driu Crilly & Tiago Martel with styling by Lawren Howell. For the first five months, InStyle UK stick with grey mastheads. But thank God for the fabulous cover stars: Academy Award winning and nominated actresses Hilary Swank (January), Amy Adams (February) Gwyneth Paltrow (April) and Julianne Moore (May) and also supermodel Helena Christensen (March). Maybe muted colors are InStyle UK things, just like last year. Their first non-grey masthead starts in June with Thandie Newton in the infamous Prada stripes dress. Another model who landed cover slot this year was Daisy Lowe who’s sitting gorgeously for July issue. The similar pose is also used for the current and the last cover of 2011 featuring Cheryl Cole in another Prada dress. 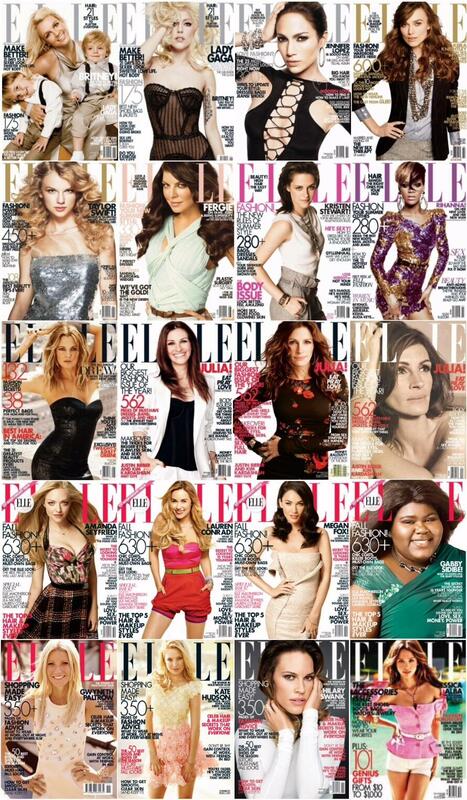 As you can see, Thandie Newton and Daisy Lowe‘s covers are the only bright colored front pages in 2011. X Factor US judge who ironically replaced fellow cover star Cheryl Cole, Nicole Scherzinger, looked serene on the soft colored August issue. Rise of The Planet of The Apes leading lady Freida Pinto graced the September cover in a lace dress from Emilio Pucci while the October (Diane Kruger in Dolce & Gabbana gold sequins dress) and November (Rosamund Pike in Versace white ostrich feather dress) issues are two of my favourite covers from InStyle UK this year. Aaaah, Elle US. One of my monthly magazine with contents I love the most but covers I love the least. They gave 2 different covers stars for January, Britney Spears with her boys and the sensational Lady Gaga by Tom Munro who also photographed the now American Idol judge, Jennifer Lopez for February. He also photographed Rihanna in purple and gold Balmain for July and one out of three Julia Robert‘s September covers (the other was the works of another Elle US regular, Alexei Hay and Carter Smith). But Carter Smith nailed most covers than the other 2!! He photographed Keira Knightley for March, Fergie for May, Kristen Stewart for June, Drew Barrymore for August (the first outdoor newsstands cover this year! 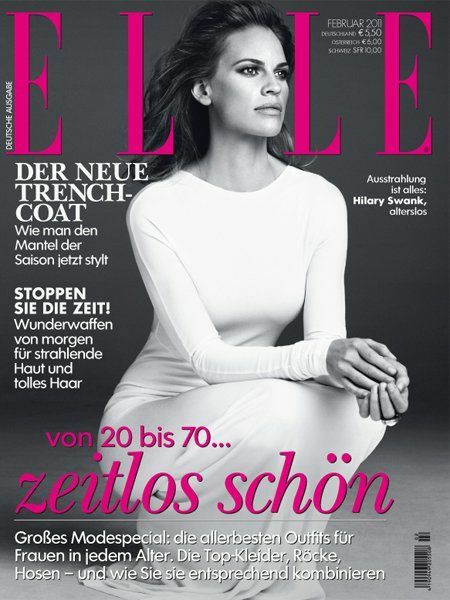 ), one out of three Julia Roberts September cover, four covers of Elle US 25th Anniversary issue in October (Amanda Seyfried, Lauren Conrad, Gabourey Sibide and Megan Fox), Kate Hudson for November (other November covers featured Jodie Foster, Diane Kruger, Kerry Washington, Hilary Swank and Gwyneth Paltrow) and Jessica Alba‘s December cover. Hilary Swank photographed by Michelangelo di Battista. 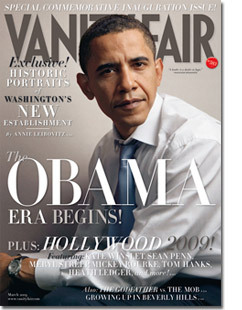 Reprint from InStyle US September 2010. 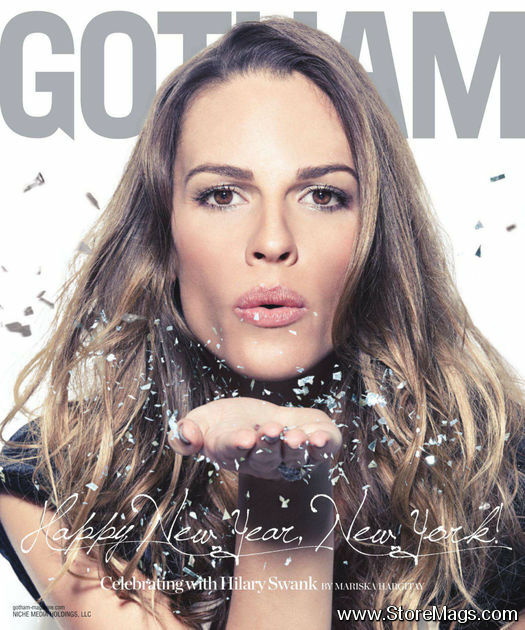 Former Calvin Klein Underwear star and Oscar winner, Hilary Swank gracing the November 2010 cover of CS Magazine.